Not a big fan of the dentist? You are not the only one. The thought of going to the dentist can be so scary that many people put up with a problem tooth until the pain becomes unbearable. Here at Western Road Dental Care, we understand that dentists are not always on your most loved list. Our dental team is non-judgmental, gentle and honest We focus on the experience, and here to help your next dental visit a positive one. After all, everyone deserves a beautiful and pearly white smile, which you will be proud of. Your safety is our priority. You can rest assured that we practise the highest hygiene standard with strict infection control protocol. As we are also treatment our family members here, we invest on the latest technology and sterilisation equipment to ensure your visit is as uneventful as possible. We treat you as our family. You will not be rushed and we devote much of our time to listen to your concern so that we can all achieve a desirable result for your health. We love a good chat to know more about you, and strive to provide a holistic care tailored to your needs and budget. 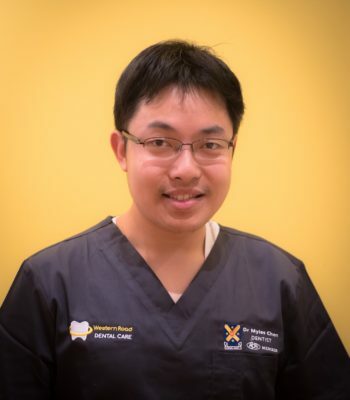 Dr Myles Chen graduated from the University of Otago in New Zealand. Dr Myles is a Melbournian and grew up in the local Burwood community. 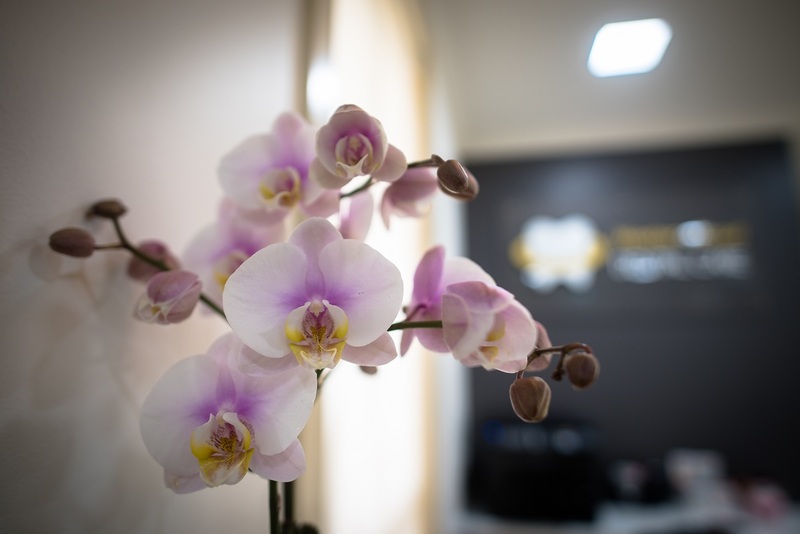 After graduation, Dr Myles has gained extensive experience in private practice in Sydney and in 2013 he has decided to move back to Melbourne to spend time with his family, and he has enjoyed servicing the local community since then. Dr Myles is known for his gentleness and excellent clinical work, along with his ability to tackle challenging cases to produce the best outcomes for the patient. Dr Myles also gains his reputation for taking good care of anxious patients. 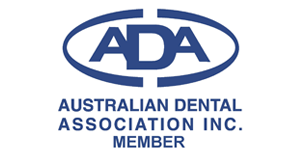 Striving for excellence, Dr Myles regularly attends further dental education, and is especially skilled in areas of cosmetic crowns and bridges work, and producing successful treatments for infected teeth. Dr Myles is bilingual and can speak fluent Mandarin Chinese and English. Dr Huong Ho graduated from the University of Otago in New Zealand. Dr Huong grew up in New Zealand and moved to Melbourne to join her family. 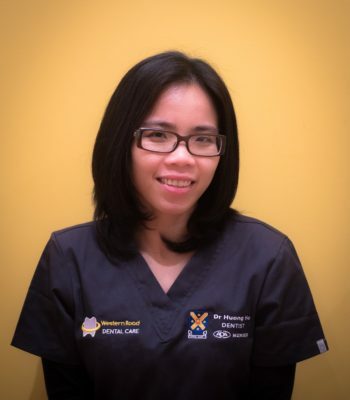 Dr Huong has extensive experience in serving patients in both public and private sectors in both Australia and New Zealand, and receives special training in facial and dental trauma. Dr Huong is compassionate and places high ethical value in everything she does. She is also a perfectionist and take price in producing the best possible care for her patients. She is great with patients of all ages, especially those with dental anxiety and special needs. She is passionate about taking the best care of your family’s teeth as well as their general well-being. Dr Huong is bilingual and can speak fluent Vietnamese and English. Both Dr Huong and Dr Myles are passionate about helping others and they firmly believe in giving back to people. 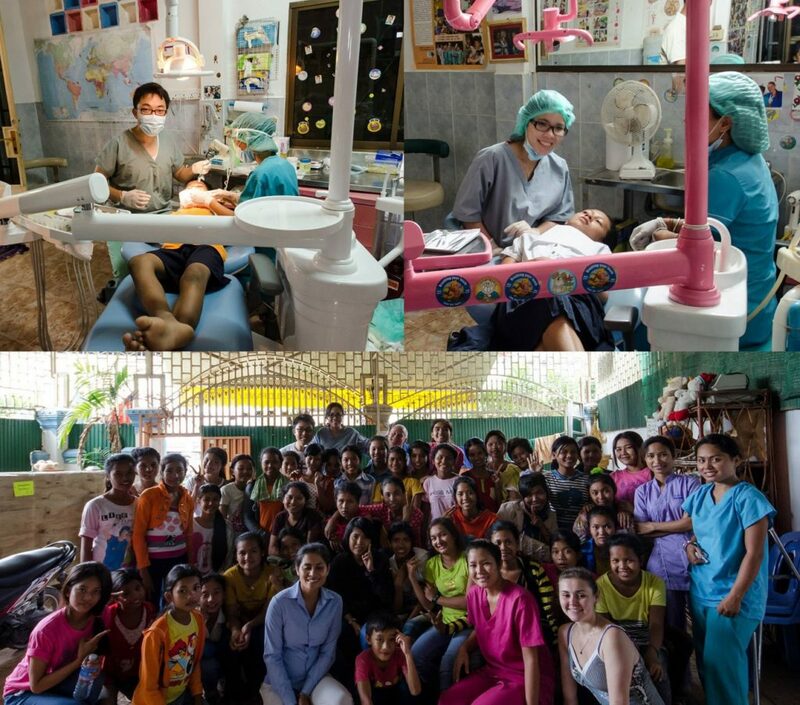 They enjoyed volunteer trips to provide free dental services to underprivileged children in Cambodia and Vietnam. Dr Myles and Dr Huong look forward to more trips to provide free dental care to less fortunate people in the future.